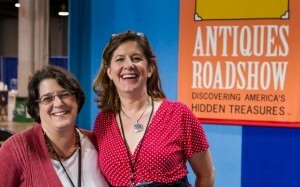 Skinner experts regularly appear on the sixteen-time Emmy Award-nominated PBS series, Antiques Roadshow. Since the show’s inception in 1995, Skinner’s experts have appraised all manner of art, antiques, and collectibles, from diamond rings and rare violins to antique clocks and bronze sculptures. Season 23 tour is wrapped-up for 2018 and Antiques Roadshow has been nominated for its 16th Primetime Emmy. Check your local listings for episode dates and times. For more information on Skinner’s Antiques Roadshow appraisal experts, read our Appraiser Biographies. You will also find direct links to broadcast segments from current and past seasons.